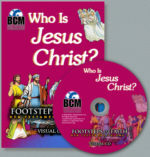 Footsteps of Faith is an eight-volume curriculum, designed for children ages 6-12, that presents the Bible chronologically from Genesis to Revelation. 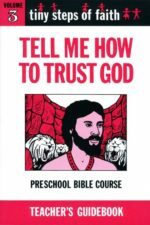 Its aim is to enable children to come to know God personally, to love God unreservedly and to obey God completely as they learn to walk in the footsteps of faith and obedience. 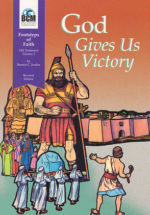 Designed for children ages 6-12, each volume includes complete Bible lessons, coloured flannelgraph visual figures and a review system unique, all of which are built around a central theme. 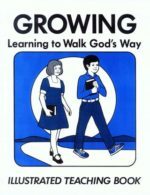 Related resources include creative teaching and memory work ideas, take-home colored Bible verse tokens (KJV and NIV), daily Bible study helps and a menu of related program ideas. 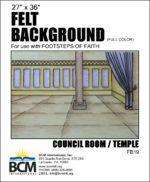 Several volumes contain divided lessons which are noted in each description and will increase the lesson numbers.